As promised in the last post featuring photographs by Bernard Selwyn this week there are some colour pictures. I frequently feature monochrome images of this period on the blog, which sit in the space between living memory and the historical past. The overall effect is of anchoring those places in the past, especially if you’re looking at streets or buildings which no longer exist. Colour prints, especially those which have survived the years with their colour tone intact have the opposite effect, making those same places look modern, as if you just looked through a car window speeding past. Even if the cars and buildings are distinctively from another era you still feel closer to them. Selwyn has a number of these colour prints, tiny by modern standards which capture that feeling of nearly being back there. 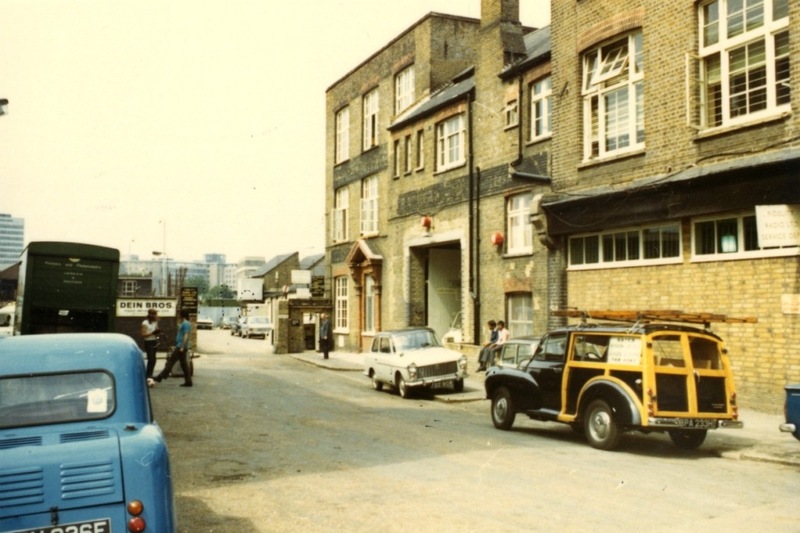 This is Latimer Road in 1971 looking north. 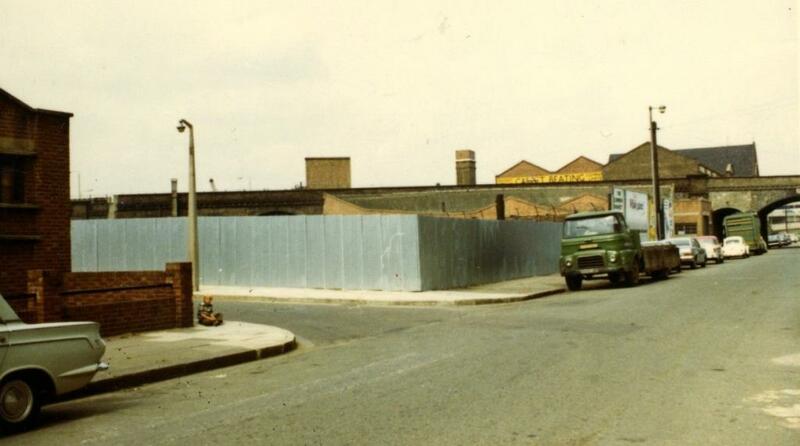 The brick building with the vans parked in front of it is M-Gold & Co, the scrap metal merchants, at number 119. 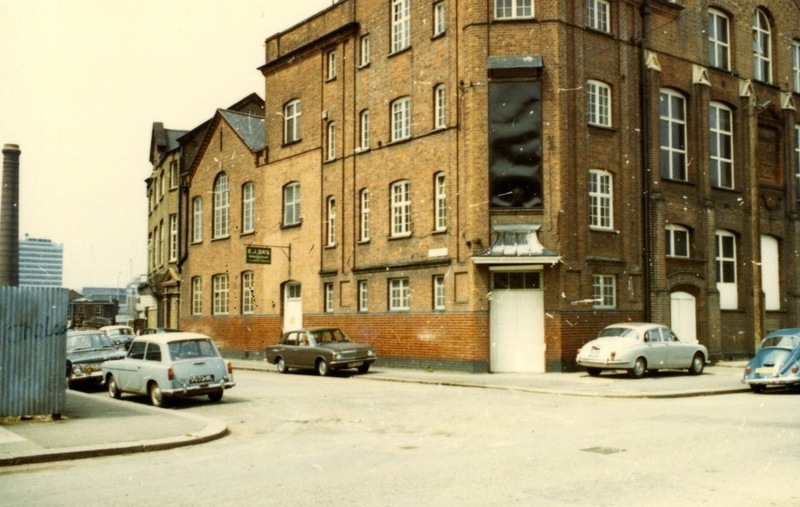 The other interesting features are the two-tone Triumph Herald, the dilapidated house whose first floor windows are covered by a billboard announcing the nearby location of the Fidelity Radio works (Selwyn took a special interest in that building). And of course, the rag and bone man’s horse taking some well-earned refreshment in the right foreground. The edge of the M Gold building, on the corner of Evesham Street. A Rover saloon is parked there, a classic managing director’s car. But what’s that on the next corner? A two tone pick up truck, quite a large vehicle. American? That estate car in front of it looks interesting too. Can any of our regular car identifiers name them? Let’s move on to that red sign. 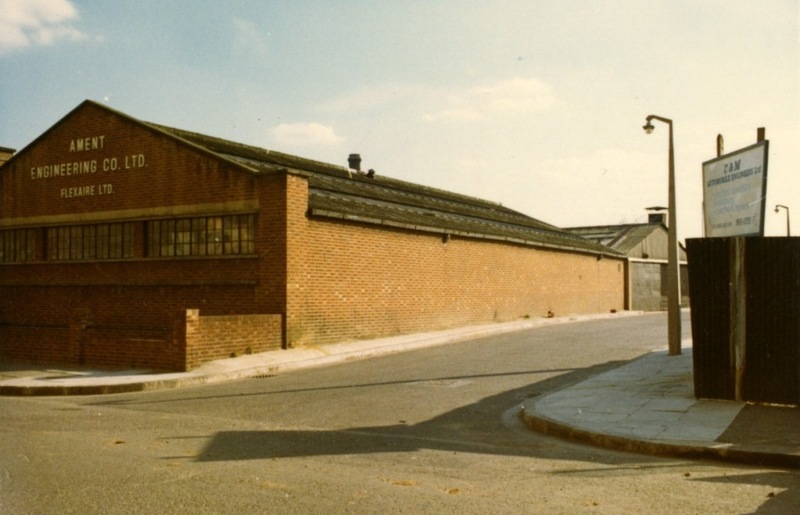 The Ament Engineering Company, sheet metal workers and engineers of 131 Latimer Road. 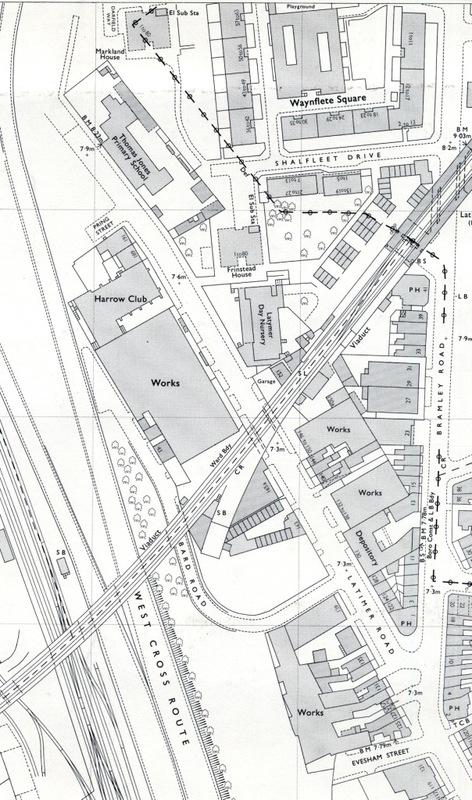 That extended section of pavement can be seen on the map of 1971 below,near the bottom. 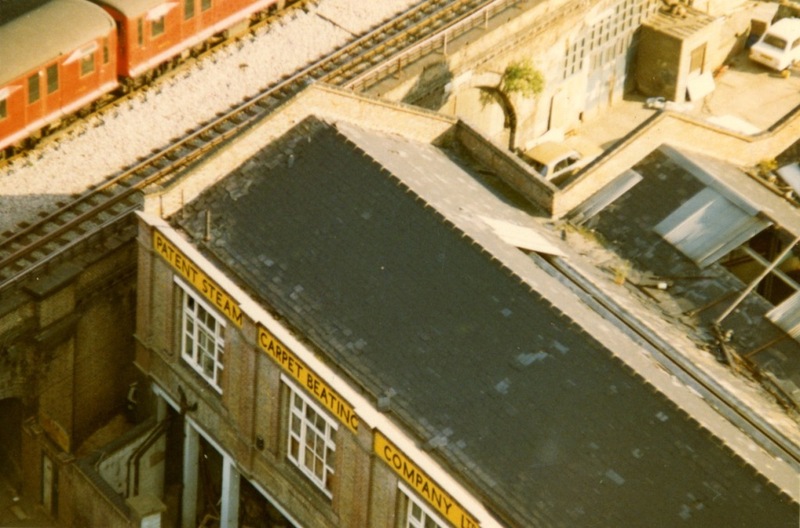 This is a slightly different detail from the one I used in a previous post.It shows a little more of the area north of the railway bridge. It also shows Frinstead House, the vantage point from where Selwyn took some of his pictures. 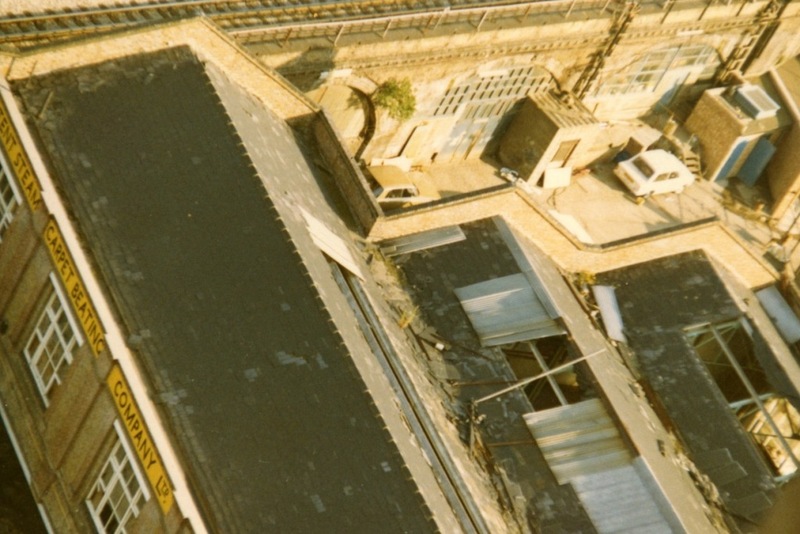 I’ve also used this picture before but it does help locate the ground level photos in relation to each other. 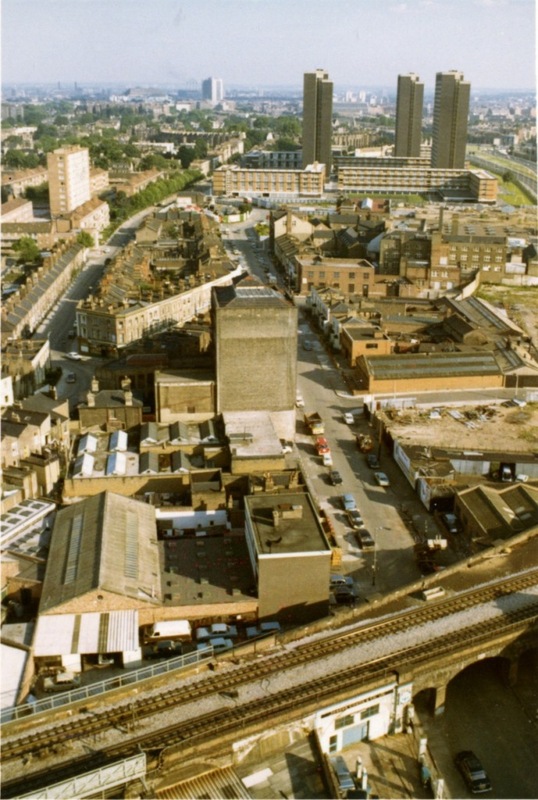 If you look closely you can see the M Gold building and the white fronted buildings north of Evesham Street. The next intersection is Bard Road with the long narrow building on the corner. 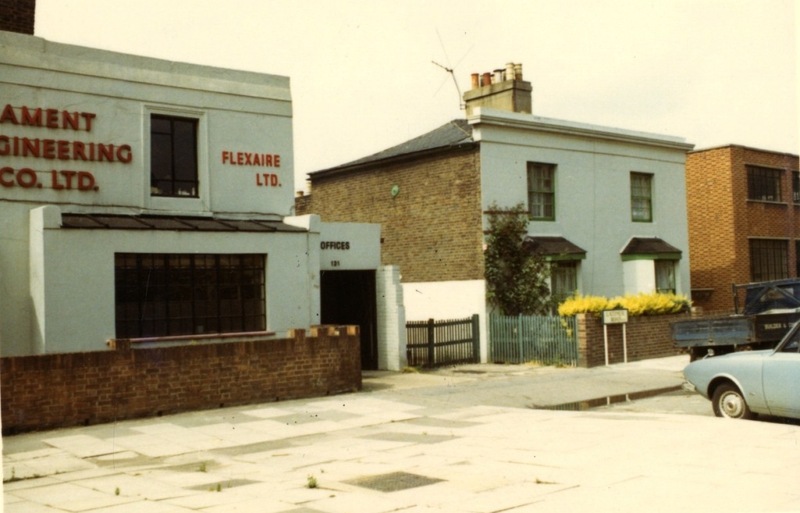 The Flexaire Ltd section of the Ament Company. A closer look at that corner. Do you see that boy sitting on the pavement at the corner? Where did he come from? Let’s go back up into Frinstead House. We’re looking down at The Patent Steam Carpet Beating Company, just north of the bridge. (I’ve used this image before as well but it does fit with this week’s journey.) Let’s sneak a peak at their rear yard. There’s another one of those managers’ cars, a Rover 3.5. It looks like the so called coupe version, which unlike most coupes had four doors. They were distingushed by a slightly more sloping rear window. Or so my friend Steve told me back in the 70s. We’re going no further north this time but there are a couple more pictures to see. 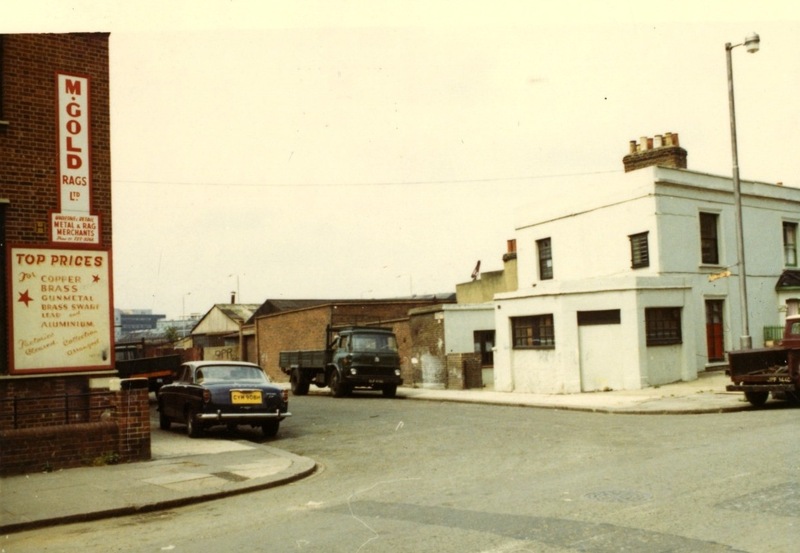 This is Olaf Street, which came off Latimer Road south of Evesham Street almost opposite Mortimer Square. The building on the corner is the People’s Hall and has since been restored. This is further down Olaf Street. This section is much changed nowadays. You can see a sign for Dein Brothers (Food importers) Ltd, and some signs of life. 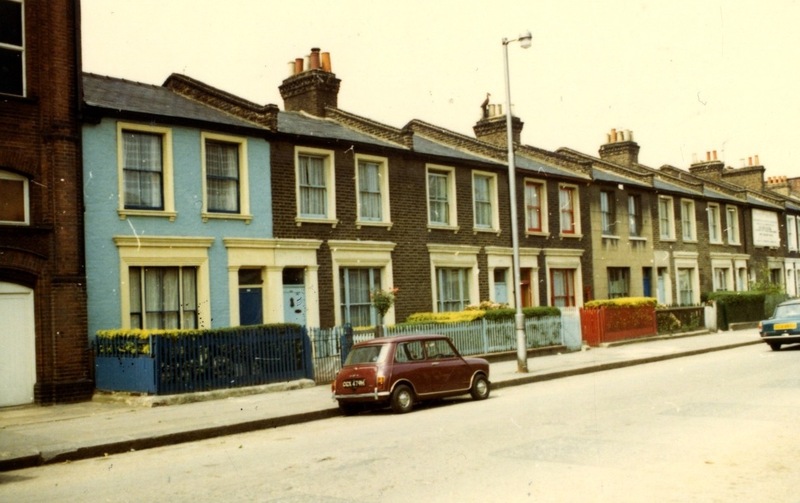 We’re back almost where we started, with a design classic and some colourful houses, at the beginning of what would be a colourful decade. There are some more colour pictures by Selwyn in our collection, further north, and even further west, although they may be outside my usual borders. Expect to see some more of them in the future. This entry was posted on Thursday, March 10th, 2016 at 12:07 am	and tagged with Bernard Selwyn, Latimer Road and posted in 20th Century. You can follow any responses to this entry through the RSS 2.0 feed. 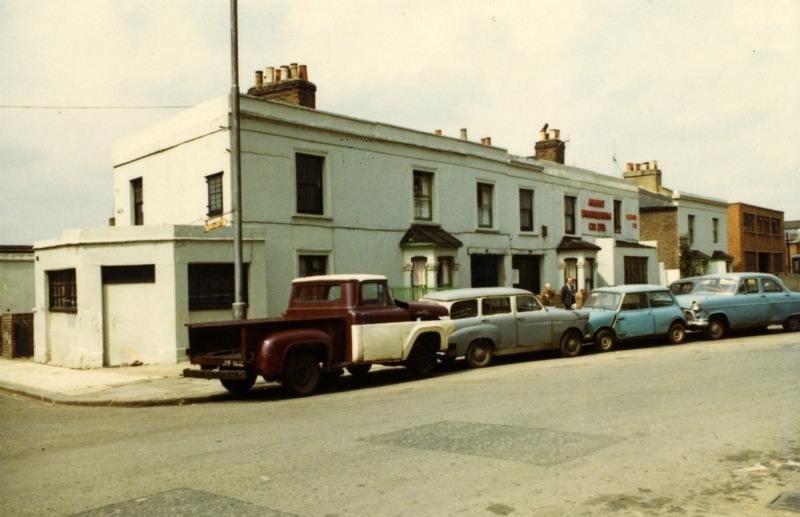 The first photo with the Triumph Herald also shows the spot out side the White House where Billy Smith was shot dead around 1960/1. His relatives lived in that house. 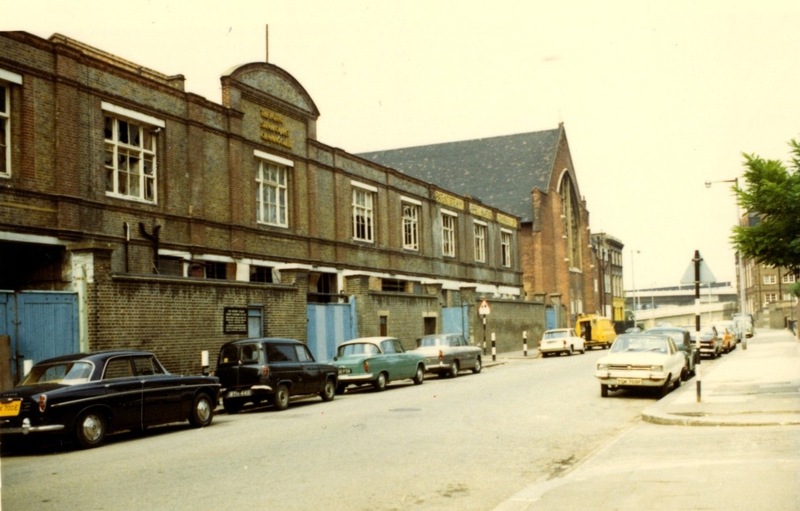 Further down the photos, yes that is the Harrow Mission building that to this day is home to the Harrow Club. I was a member in the late 50/60 s and at that time the entrance was in Bard Rd behind the Mission building . I visited the club a couple of years ago and received a very warm welcome as will any old members I am sure. They have a good collection of old photos of the club. Great photos Dave and much appreciated. Such a walk through the places of my childhood.My first boutique ‘Peggs and Dolls’. Where my mum got the carpet cleaned at the “Patent’. Fitzy’s where we went for sweets. Treadgold St where I went to school at St. Francis Infants (Catholic school).Thank you so much.So much i’d forgotten and yet remembered instantly with the photographs. I believe the building on the corner of Olaf Street was occupied in 64/65 by Tella Photography and just further along was Fidelity radio?? 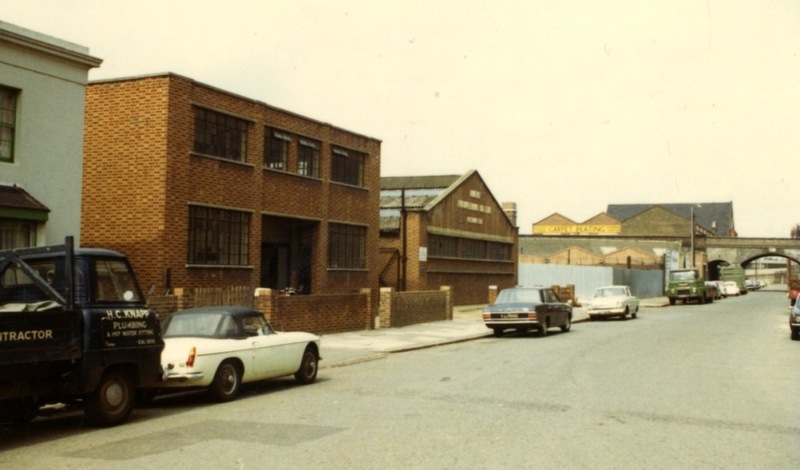 I left Glasgow at 16 worked in the electroplating works, then the laundry, finally the garage under the railway arches body work on taxis all on Latimer rd. I cannot remember the names.I would welcome any info. I am now 72 .Jobs were so easy to get then. best regards John.